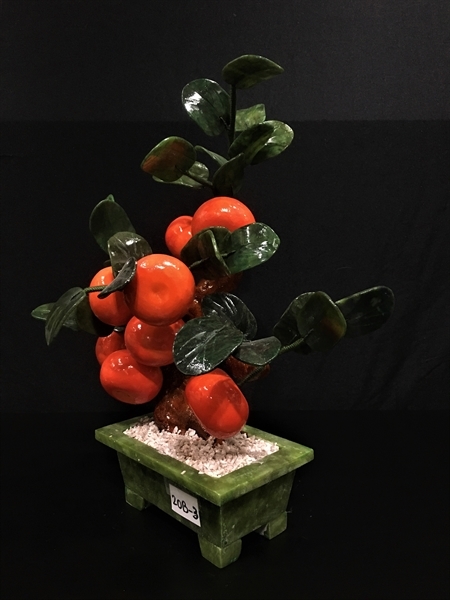 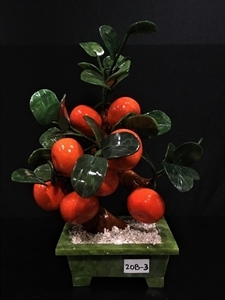 Long 10" x Deep 8" x High 15"
This tangerines tree is made of jade. 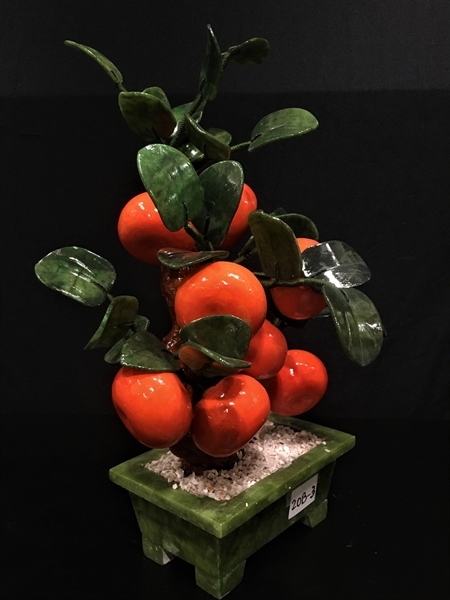 The leaves are made of Taiwan jade and the tangerines are made of hard stones. 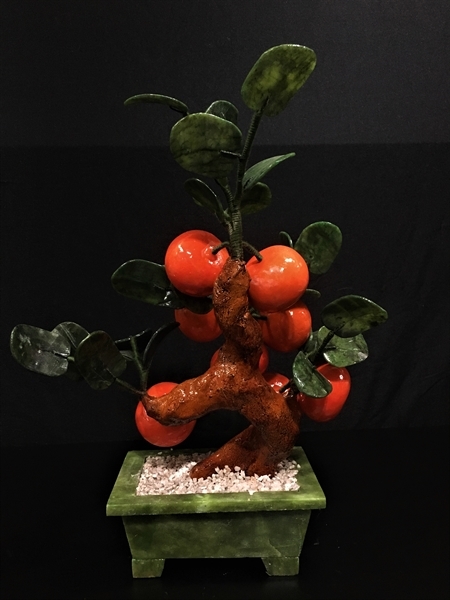 The pot is also made of southern jade.